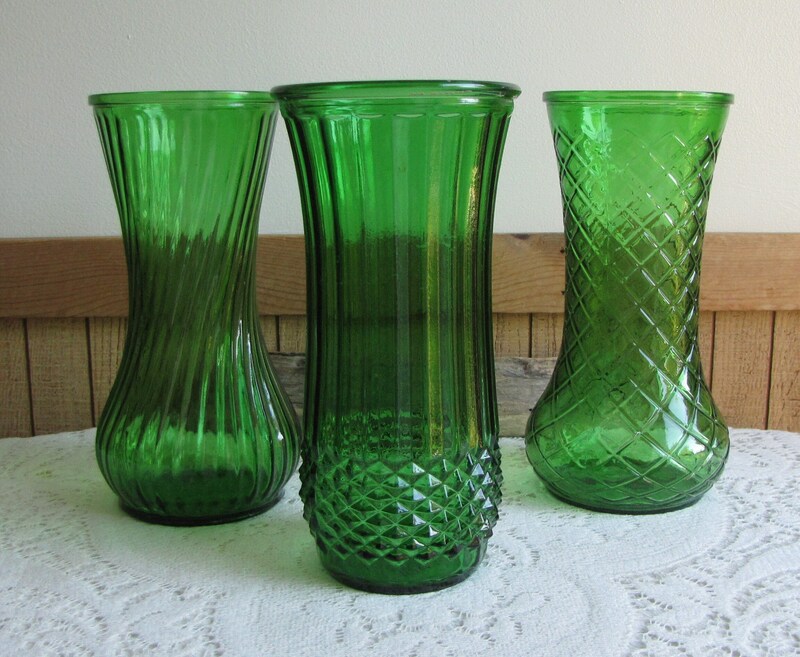 Three (3) Hoosier vases in emerald green that are in very good vintage condition with no chips or cracks. 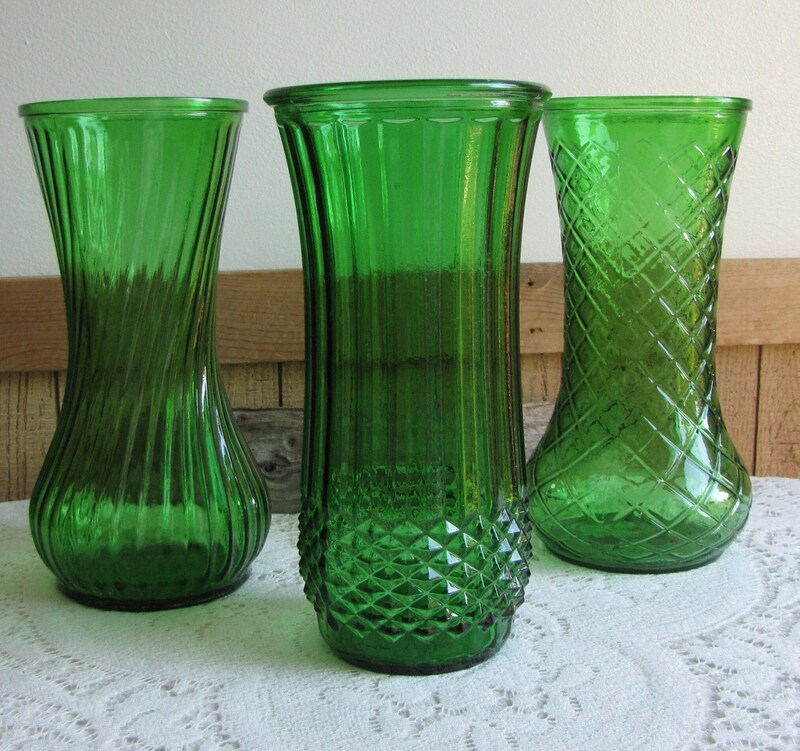 I love this green glass. 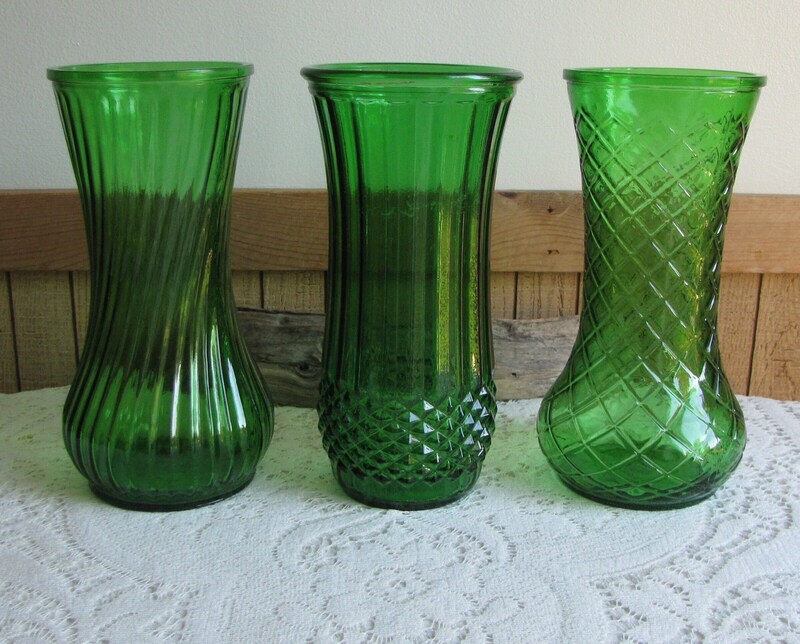 One of the vases has a diamond design and is about 10 inches tall and 4.5 inches in diameter. The next one has a small diamond design on its base and ribbed upwards. This was has some water stains and has a small slit (not really a crack) on the top ridge. It is 9.75 inches tall and 4.75 inches in diameter. The last one is a twisted swirl design and measures 9.75 inches tall and is 4.5 inches in diameter. 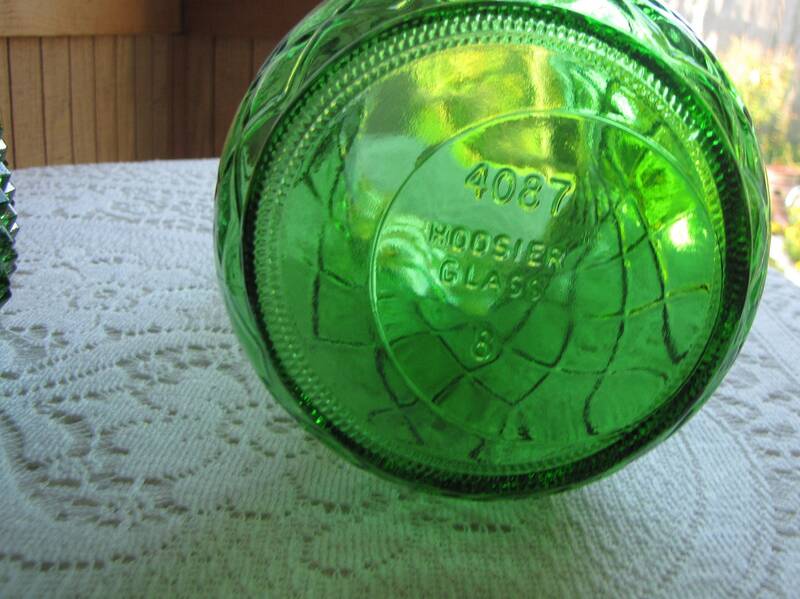 Hoosier Glass is art glass made by Indiana-based Syndicate Sales, a glass-blowing company that was active in Kokomo, Indiana, in the 1970 and '80s. 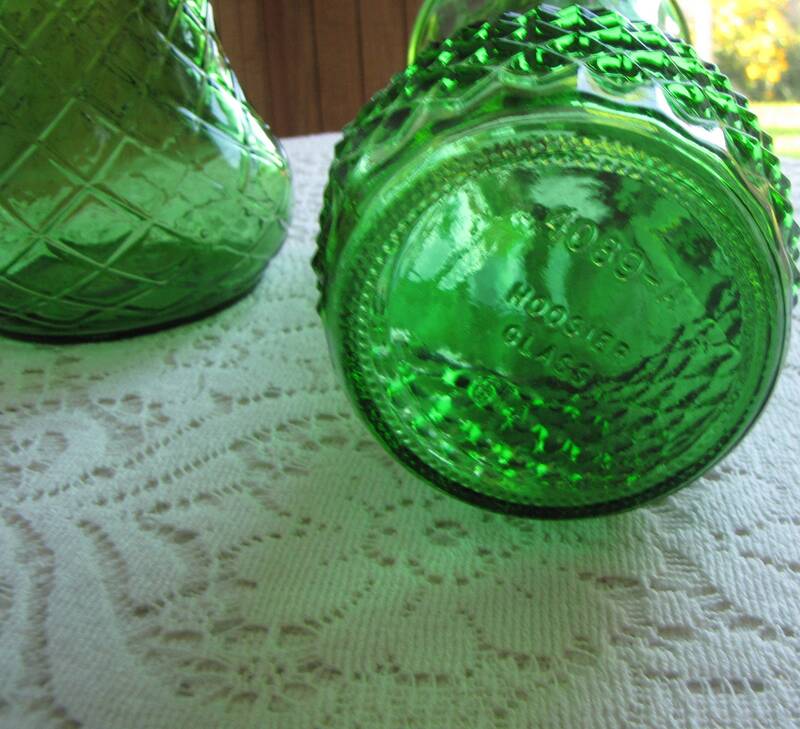 Hoosier Glass is a collectible and is noted for its distinctive pressed and cut patterns in vases. 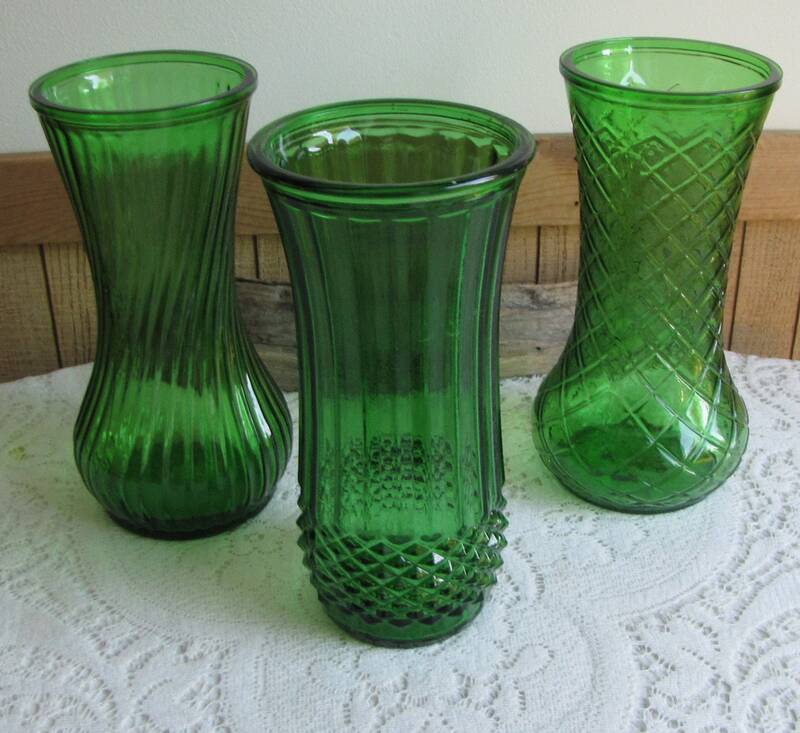 Indiana has a long history of manufacturing art glass, and boasts the Indiana Art Glass Trail, a network of workshops and galleries showcasing local glass. 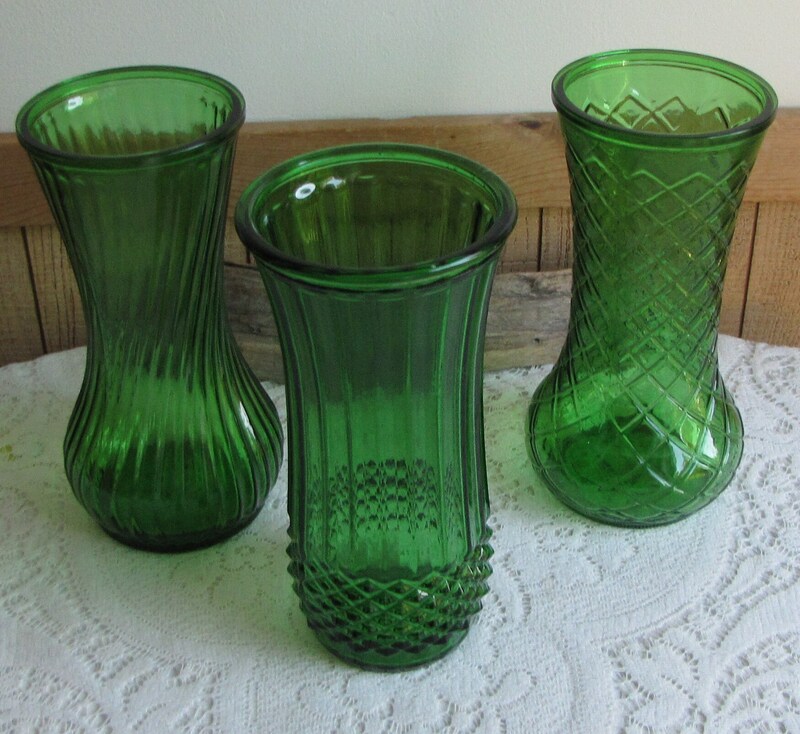 Syndicate Sales began making Hoosier Glass vases in 1979 for commercial florists. 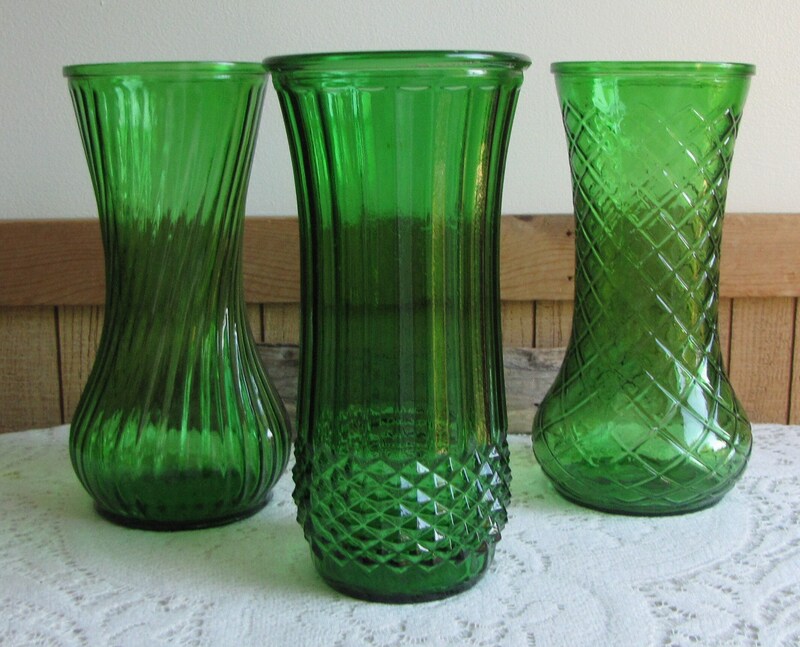 The designs were simple and intended to enhance the natural line of stems in the vases. 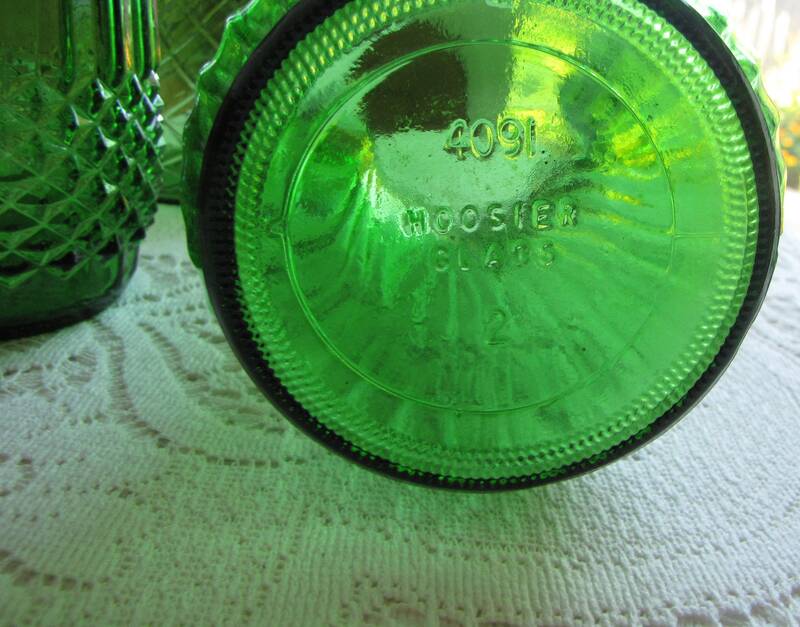 Hoosier Glass is stamped with the words "Hoosier Glass" on the bottom of each piece, usually followed by a serial number in the format of four digits followed by a dash and four more digits.